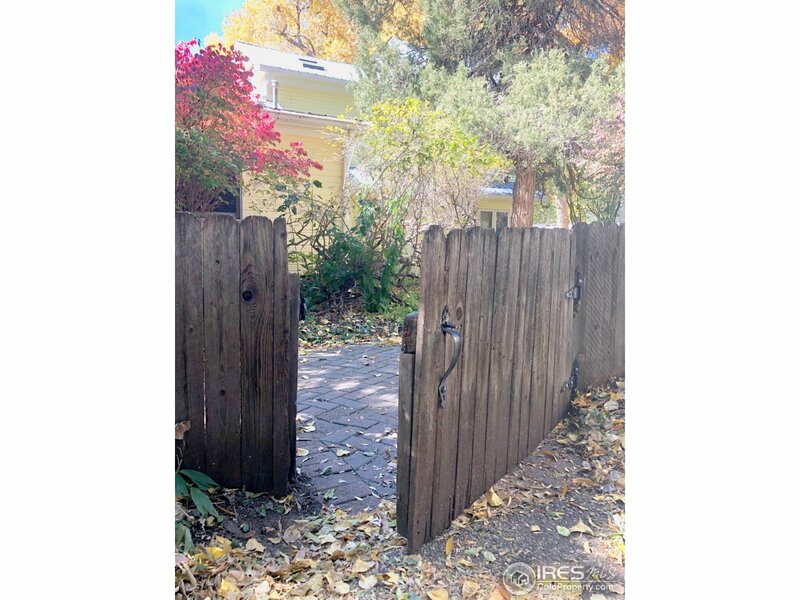 All Fort Collins homes currently listed for sale in Fort Collins as of 04/18/2019 are shown below. You can change the search criteria at any time by pressing the 'Change Search' button below. "Must watch! : youtube.com/watch?v=KRCazsEvjpk&t=374s Happy Heart Farm is the first CSA in Colorado. 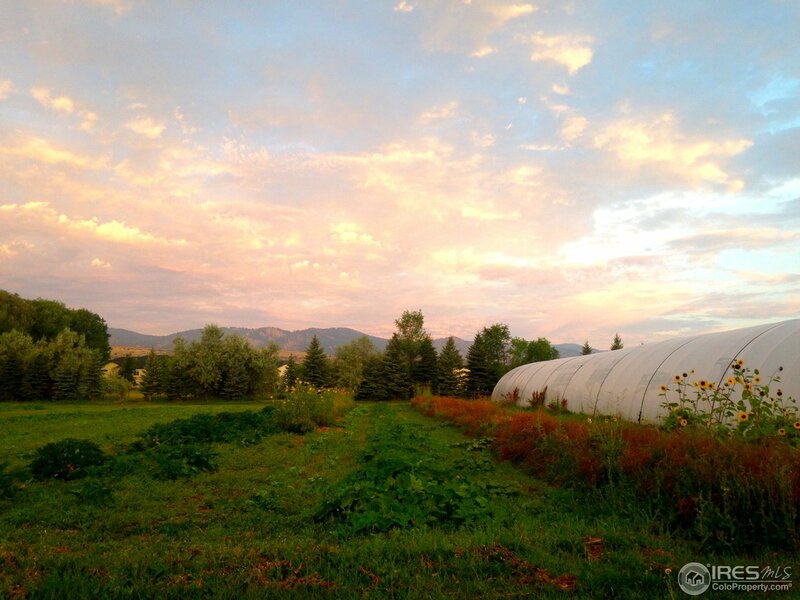 This heritage CSA farm resides on 9.04 ac and incls a 1/2 Pleasant Valley water share,1 water tap,hoop house and more. Sold with or without the residence. If the residence is part of the sale then Seller prefers a sale with a lease back of the home to be negotiated. Great location, gorgeous views, and 2-3 points of access. LMN zoning which allows multi-family development." "Must watch! : youtube.com/watch?v=KRCazsEvjpk&t=374s Happy Heart Farm is the first CSA in Colorado. This land offering incls the northernmost 8.21 acres of 2820 W Elizabeth and a 1/2 Pleasant Valley water share, a 1 water tap, hoop house and more. A great location, gorgeous views, and 2-3 points of access help to make this property special. Located in LMN zoning which allows multi-family development." "Exceptional custom home located on a maturely landscaped 2-acre estate in The Hill! Private and secure, gated community, spectacular mountain and Cobb lake views, surrounded on 3-sides by permanent open space. High-end quality construction and finishes, 4-car garage, covered outdoor kitchen, numerous patios, 2-bdrms on main floor and study, elevator to walkout lower level, awesome wet bar, custom cabinetry, appliances, etc. A Very Fine Home!" "You have arrived! Rare opportunity to live in a fully remodeled lakefront home a bike ride away from Old Town! This 6 bedroom/6 bathroom oasis is an architectural delight. From the elegant entryway with grand curved staircase, large dining room with gorgeous crystal chandelier, to the gourmet kitchen, 2 laundry rooms, & full workout room. This home offers it all. Enjoy sunsets & s'mores on your sprawling patio with gas fire pit. Neighborhood barn for horses. Make sure to check out the website!" "Luxury Custom! 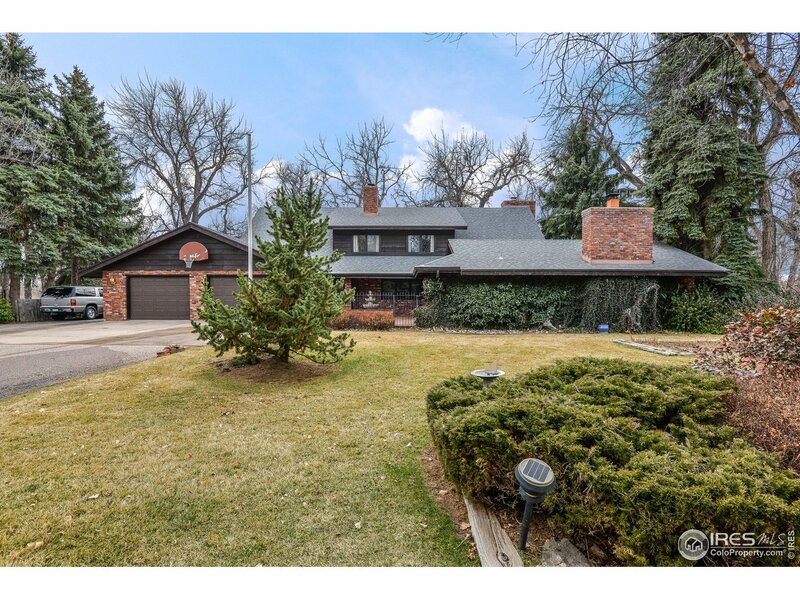 Nestled on a beautifully landscaped 1 acre lot in Fossil Lake Ranch. Backs to Green space with views of the lake from the courtyard. Exquisitely appointed at every turn. Walkout Basement. Main Floor Master, 3 Outdoor Living Spaces, Gourmet Kitchen with Wolf and Subzero Appliances. 6cm chiseled edge granite island. Entertainer's wet bar with open theater room. Climate Controlled Wine Room for 1000 bottles. This home exudes quality. Simpy nothing else like it in Fort Collins." 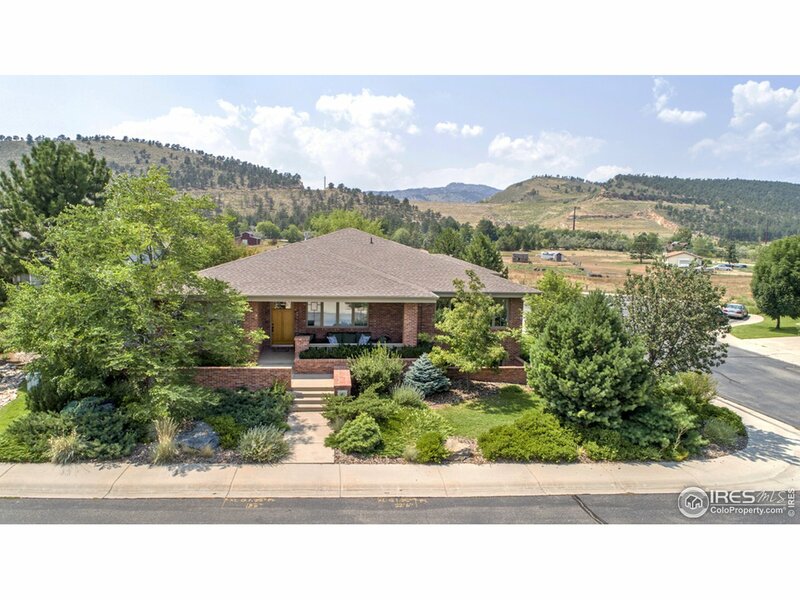 "Masterfully designed & appointed newer custom Pateros Creek home backs to Poudre River, nestled among mature trees, just blocks from Old Town. Exquisite home featuring wood floors, custom-crafted built-ins, butler's pantry, double kitchen islands w/ quartz counters, 2 dishwashers, 4 ft Thermador refrigerator, Thermador 6-burner gas range w/grill. Three patio areas, fully fenced. Tankless hot water heater, dual zoned furnace, 2 laundry rooms. Master bdrm w/frpl, balcony, coffee nook + spa bath." "24 acres close to town- just through Glenn Ridge. No HOA covenants! Horse property w/ 11 acre pasture, arena, round pen, 3 loafing sheds, and large 8 stall barn with runs, water, tack room, & storage garage. Home offers open living area with majestic views! Second living area on main has additional kitchen. Basement accessible through a separate entrance and from the garage. 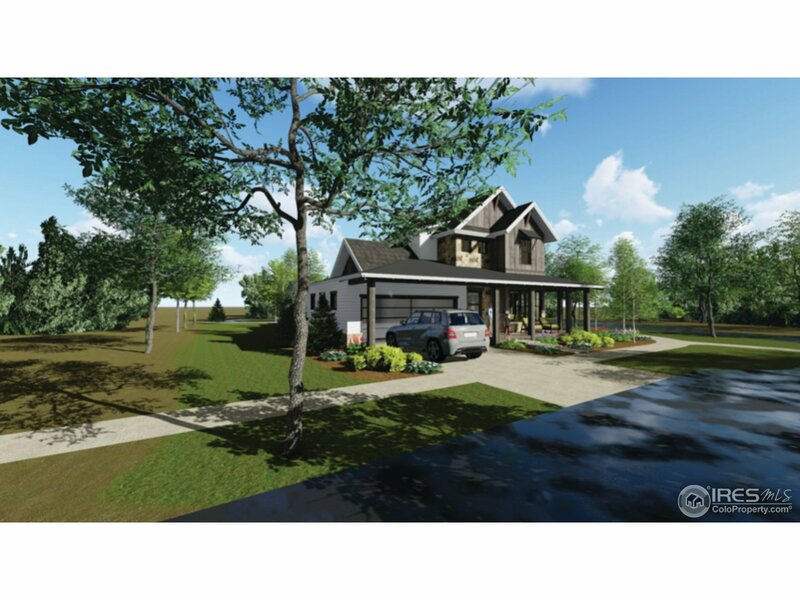 Enjoy the massive 1,700 sq ft 3-car garage with smaller access garage door to backyard. Water shares for sale separately." "An exquisite transformation by Forge+Bow. This Lux Farmhouse has been crafted with a cozy refinement combining tradition with a modern flair. The home truly embraces a lifestyle delicately balancing luxury and humility. The idyllic location provides the best of Old Town living, while the gracious sized lot allows for a dream garage (ask us!). Showings to start 4/13; please call agent to discuss status of First Right, as well as scheduling showings. Seller is licensed CO RE Agent." "Private, Pristine, & Peaceful setting backing to open space with panoramic mountain views and lake views. Surrounded by nature with the luxury of a new home featuring all custom upgrades. Ranch style plus loft with beautifully adorned lower level. Master, study, plus guest suite on the main. 2 beds plus sitting room up. Private Outdoor living at its finest. Lower level has kitchen, 2 beds, 2 baths and over-sized recreation room. This one has it ALL!!!" "Sellers have spared no expense on this stunning & elegant custom home w/ over $100k of upgrades & finishes. Every detail & design feature has been meticulously created to flow & function throughout home. Too many custom upgrades to list-SEE SPECIAL FEATURES LIST. 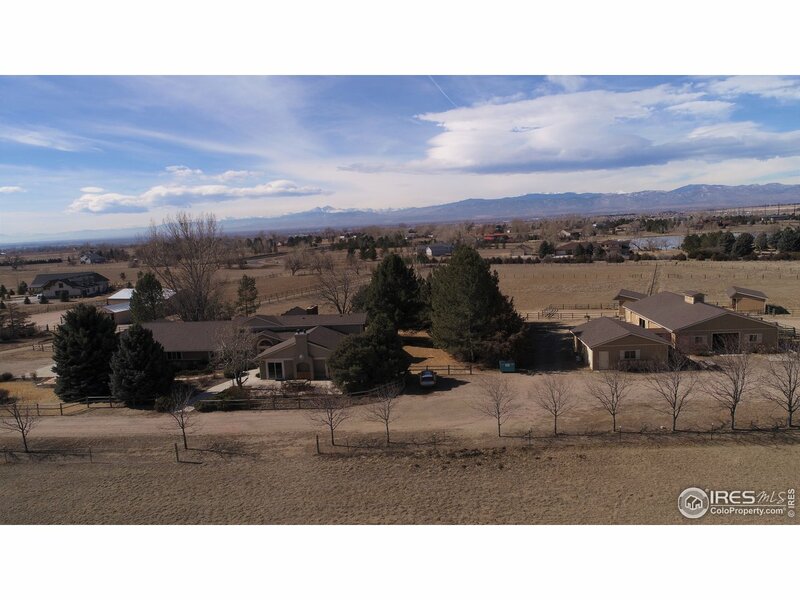 Home sits on just under a 1/2 acre corner lot w/ permanent unobstructed views of Fossil Creek Reservoir & bcks to grn belt. Built-in dry bar in private study, fin basement w/ custom wet bar & sportsman's dream gun safe room." 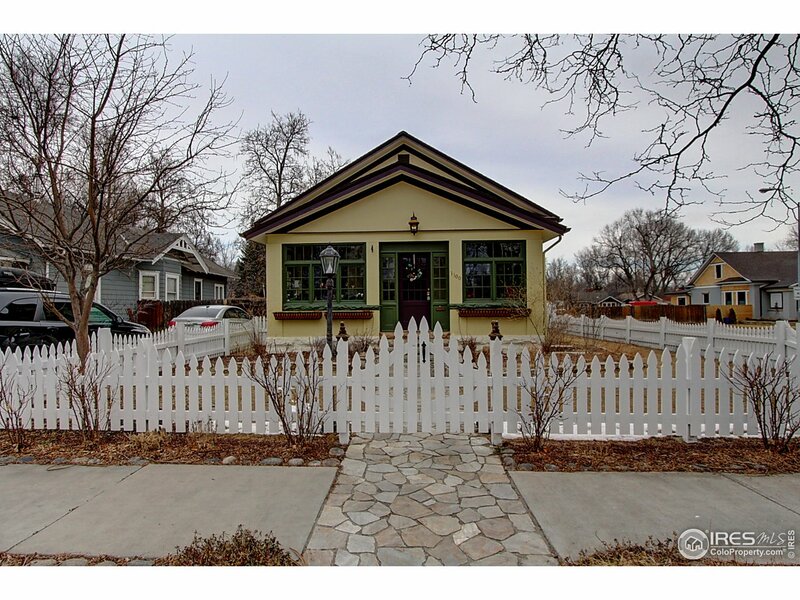 "Live in one of the most magical locations in Old Town, City Park out the front door! 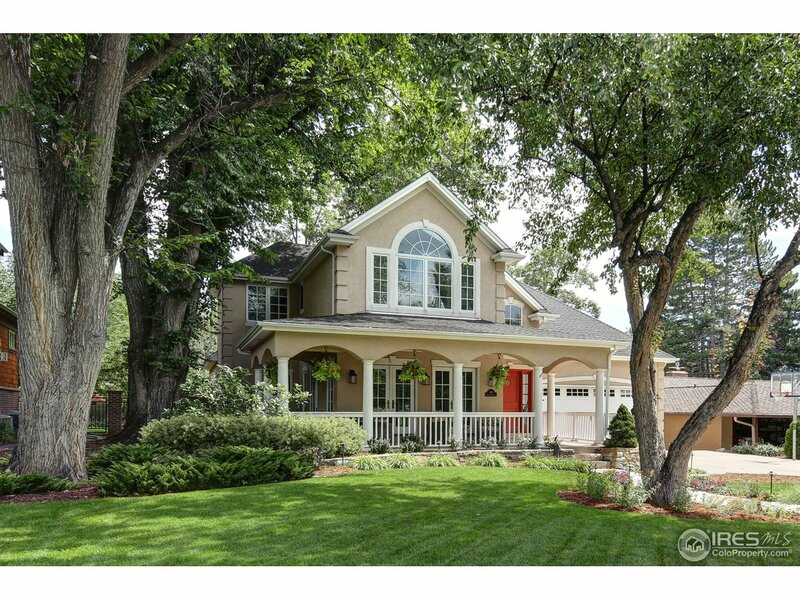 1 of a kind home has Old Town charm, but upgrades & ideas of newer homes (2006). Step inside to very surprising size of 4953 sqft. Thoughtful open floor plan design- large main floor master suite & laundry. Great daylight! Remodeled gourmet kitchen- Sub-0 fridge, Paykel dishwashers, pantry, Hardwood floors. Upper option Study/Bed, other bed, full bath. Garden lower level rec, 4th bed, full bath. 2-car Attached." "Wonderful home in a quaint FTC neighborhood with views from every direction & plenty of room to stretch your legs with a full 1 acre lot. Great curb appeal & meticulous landscape. Gourmet kitchen has high end appliances, granite, built-in wine cooler & beverage drawers. Expert window design brings in loads of natural light for a sunny & inviting atmosphere. Walk out basement, wet bar, 2 H20 heaters & furnaces. Enormous partially covered trex deck perfect for outdoor entertaining. 4 car garage"
"Serenity and understated grandeur welcome your guests to this entertainer's dream home. Located West of Old Town Fort Collins and blocks from the Poudre River it is the best of both night life and nature. 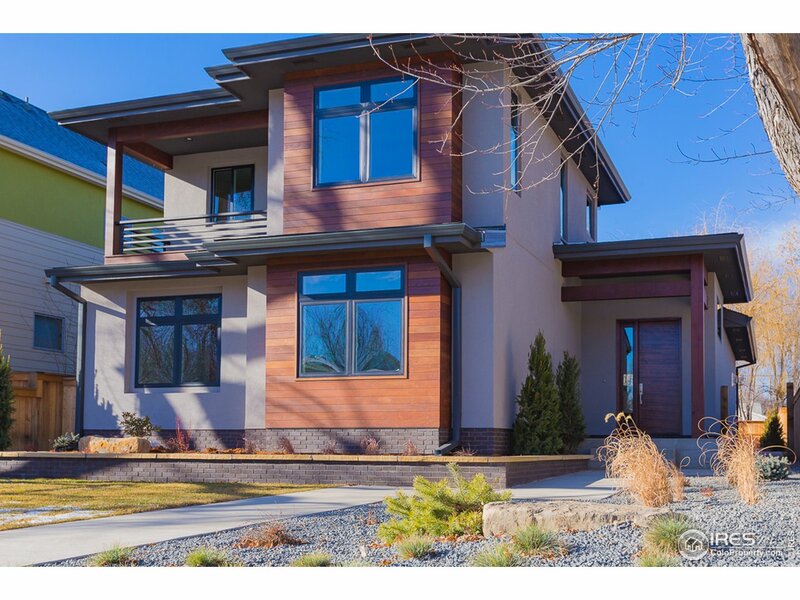 Over 5400 finished sq ft of modern living on 8600 sq ft lot with alley access. 4 bedrooms 6 baths and nearly 300 sq ft of outdoor living space and outdoor fireplace. Fully fenced yard. 2 large suites upstairs each with their own balconies. 2 additional bedrooms in the basement with wet bar." "$145K price change offers golden opportunity to selective buyers. Impressive facade matched by stately, traditional, and spacious interior. Includes sunroom, music room, library, and home theater room. Individual bath for every bedroom. Expansive 2-acre estate lot provides elbow room from neighbors and nearby Kechter Road. Hundreds of trees, shrubs, and flowers. Generous master suite includes fireplace, luxury bath, two walk-in closets, private office, and enchanting views of Long's Peak." "Stunning David Hueter architecture in this beautiful 2-story in popular Pateros Creek Subdivision! View The Tour Here: https://vimeo.com/255463777 - Gorgeous open flr. plan Natural wood surfaces, quartz countertops, premium appliances, fixtures & more. Modern feel with classic warmth. This is a rare opportunity to live in a new community in Old Town Ft Collins with the Poudre River in your backyard. Community gardens, walking trail and access to the community pond and Poudre River are all yours." 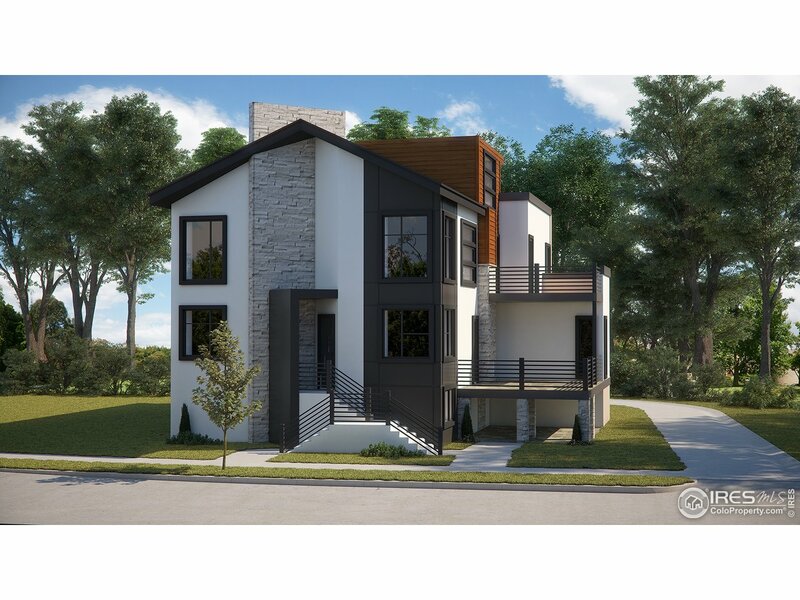 "For the most discerning buyer seeking a modern home in Old Town, this is it. Intentionally designed to WOW you in every way, this 3 story custom is set on the premier lot backing to dedicated greenbelt and large trees. Additional separate entrance into main floor bdrm, in-home office, or VRBO. Multiple decks including a rooftop deck. Exposed steel beams, floating staircases, expansive windows and professional designer select finishes. 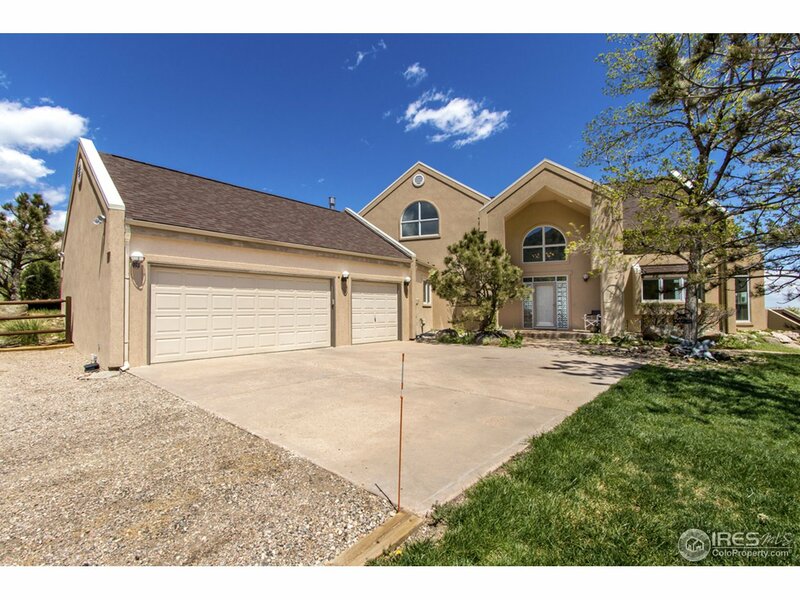 4363sqft w/ exquisite master suite, 3car garage, full bsmnt." "This gorgeous getaway at the highest point overlooking Horsetooth Reservoir offers a peaceful, private, 35-acre escape! Five exclusive homes form a gated community in this premiere location. Enjoy the glorious views from multiple decks or from the window wall fronting all main living spaces-even the master! Relax on the beautifully landscaped grounds or soak in your spa tub and watch the wildlife. The juxtaposition of the natural setting with a bold, modern interior gives you the best of both!" "Simply extraordinary. 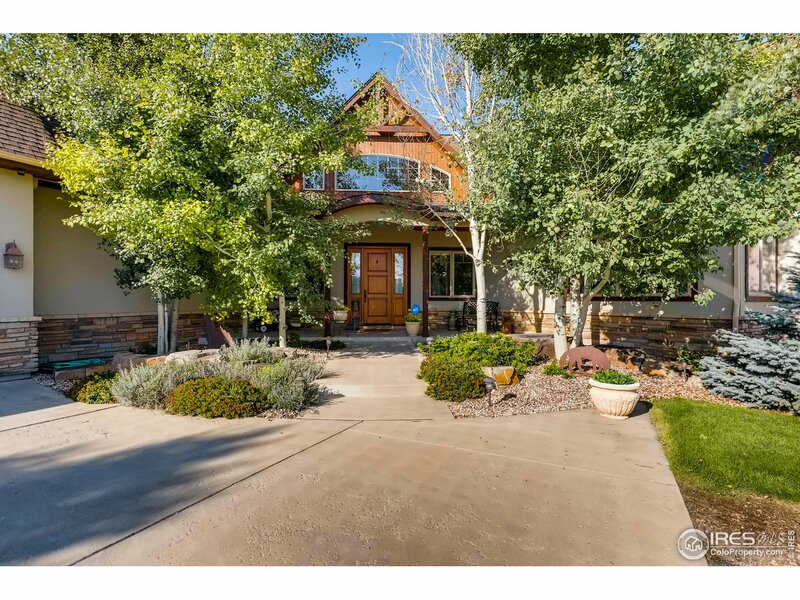 Stunning home on private Cottonwood Pt. 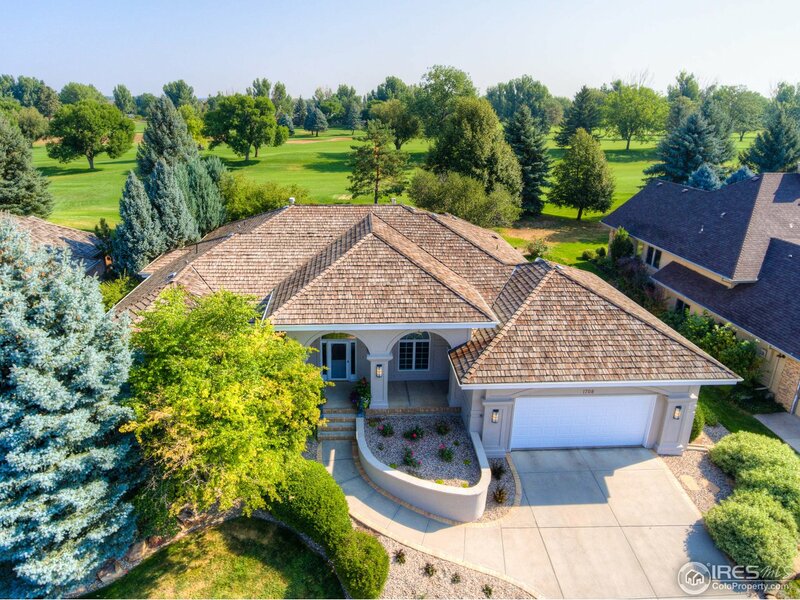 backing to the 18th fairway of the Ft. Collins Country Club with exclusive golf course views. A stunning & extensive remodel took this quality home to the next level-Architectural Digest Level. Scandinavian inspired white kitchen with high-end Thermador appliance package & Sub-Zero refrigerator. Custom window wall opens up completely to outdoor living. Spacious garage with dedicated golf cart space. Enjoy Long Pond lake views/access." "All units include in-unit laundry hookups, designated covered on-site parking & secure storage space. 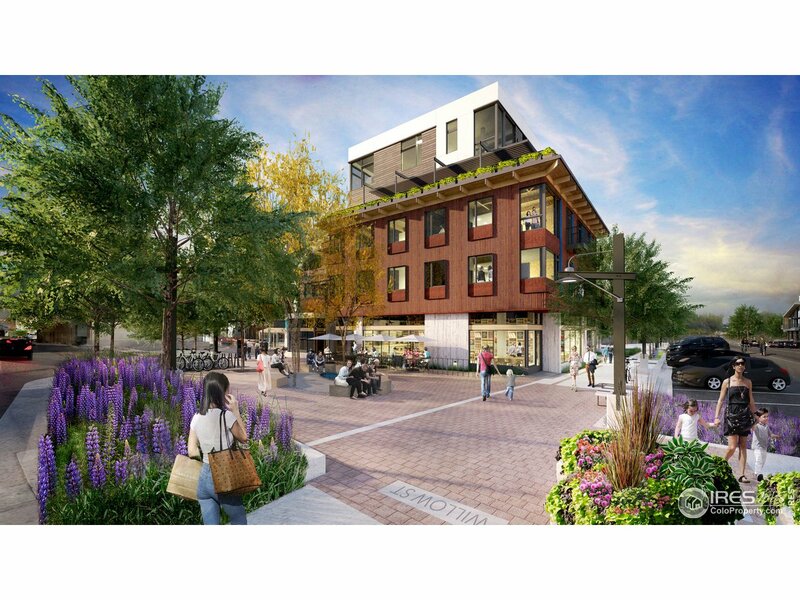 Community amenities include dog wash room, roof terrace, courtyard w/fire-pit, bike storage, shared ZIPCAR, secure perimeter access & security system." "Amazing custom home on 5.6 acres! Great views of the mountains! Fantastic kitchen with granite and stainless. Master suite with sitting area and luxury bathroom. Custom timber wood barn 40' x 38' ready for horses or toys. Heated garage with epoxy floor. Property is fenced and has trees throughout. Irrigation water is available through the HOA. Land can produce hay if desired. An amazing opportunity for buyers needing space or a home for horses." "Back on the market no fault of home or seller. Contemporary custom w/ open floor plan & vaulted ceilings w/in walking distance of downtown Fort Collins & River Trail. Chef's kitchen, linear fireplace, wide plank hardwood, smooth texture drywall, private master suite w/ balcony, smart home features, downstairs rec room + storage. Brazilian Ipe siding, fully landscaped & irrigated w/ private fenced backyard & covered breezeway. Seller is a licensed broker." 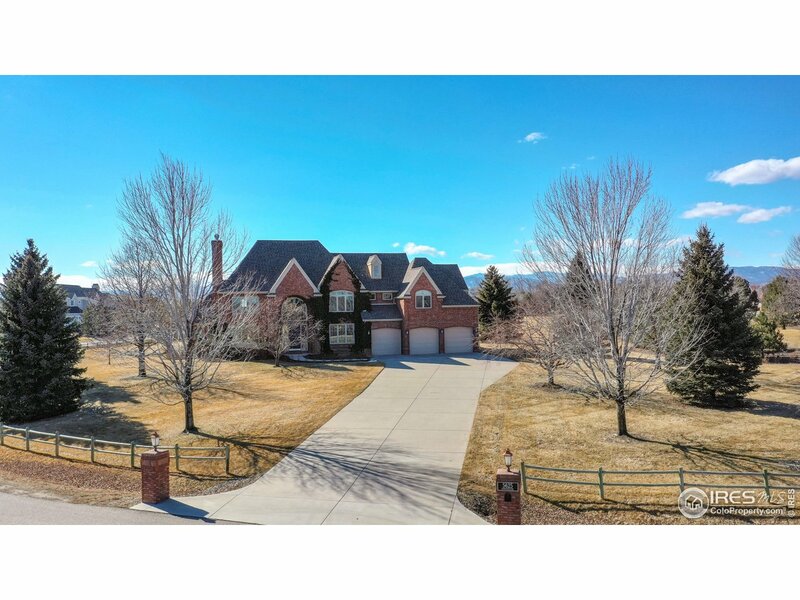 "This Craftsman-style all brick masterpiece offers the best of both worlds--a classic design with distinctive architecture, plus close proximity to all that the west side offers including trails, parks & Horsetooth foothills. You'll love the amazing attention to detail throughout & fantastic views to the west. The light & bright lower level includes your own personal spa w/ steam shower & sauna, guest suite, family room and climbing gym. Too many features to list, come see for yourself!" "RARE FIND! A wooded lake front on the shores of Warren Lake. Main floor has large living room with moss rock fireplace and exposed wood beams, office with fireplace,kitchen with breakfast nook, main floor master with private backyard retreat. Two staircases lead you to the upper level where you will be greeted by an open family room, three bedrooms (1 non-conforming) and 2 baths. A screened porch and secluded deck overlooking the lake offer a great space for entertaining or peaceful retreat." 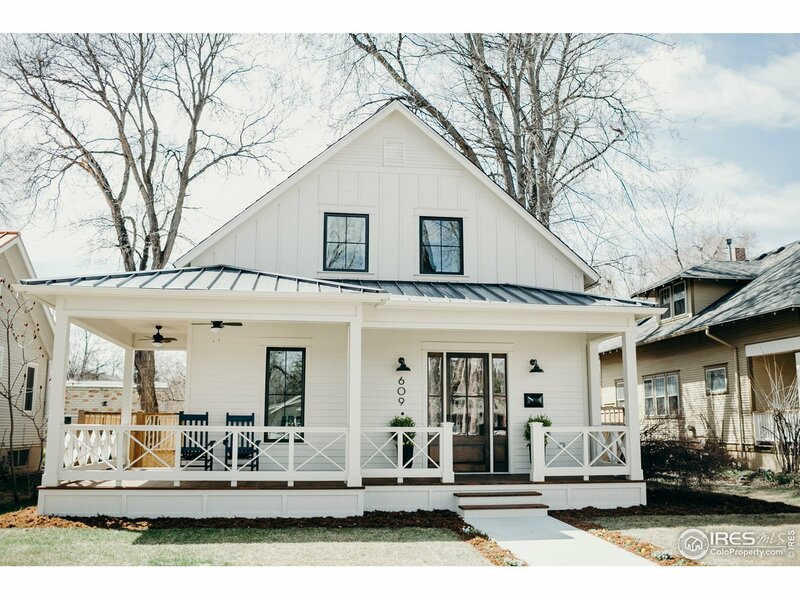 "GORGEOUS Old Town house featured on the 2018 historic home tour. Blocks from City Park. Featured on the annual Fort Collins Garden Tour. 7 bedrooms, hardwood floors, original ornate hardware, formal Living Room, and formal Dining Room with pocket doors, updated kitchen. Relax in the 2 person air and water jet tub in marble floor bathroom with 150 year old vanity. Basement has 2nd kitchen, is perfect for some privacy! Gorgeous pergola with built-in grill and pizza oven. Carriage house in back."